New data released last month was disturbing for the 85% of baby boomers still working. Many don’t have enough saved for retirement or simply aren’t ready to leave the working world behind. Some say they plan to continue working into their 70’s and even 80s, according to a 2017 report, America’s Aging Workforce. Older workers being pushed out of jobs. Unfortunately, new analysis by ProPublica and the Urban Institute published last month shows that the decision may not be up to them. Dismally, more than half of employees over the age of 50 are being pushed out of longtime jobs before they choose to retire. Most suffer financially and only one in 10 of these workers ever earns as much as they did before their employment setbacks. Apparently, 50 is the new 65. The analysis was based on data from the Health and Retirement Study that began tracking 20,000 people in 1992, from the time the participants turned 50 through the rest of their lives. The study focused on workers who entered their 50s with stable, full-time jobs, and who have been with the same employer for at least five years. The results are sobering. According to the U.S. Census Bureau, there are currently 40 million Americans age 50 and older who are working. That means, according to this study, that as many as 22 million of these people have or will suffer a layoff, forced retirement, or other involuntary job separation. Of these, only a little over 2 million have recovered financially – or ever will. As a result, the steady earnings that many boomers count on in their 50s, 60s, and beyond to build up their retirement savings and ensure financial security often disappears. What can older workers do? you experience a layoff and notice that less-qualified, younger employees at the same level are not being laid off. your company claims to be eliminating a job, but simply changes the title and puts someone younger in the same position. you’re being targeted for poor performance while younger employees doing the same things aren’t suffering any consequences. A common myth concerning older workers is that people over 50 are rigid. You can prove this disparaging idea wrong by remaining flexible, resilient, and adaptable. Understand your company’s objectives and your boss’s priorities, and then align your work performance with them. In other words, find ways to make your boss’s job easier and make yourself indispensable. Do not contribute to the false belief that all old people are cranky and difficult. Be friendly, cooperative, and helpful. Makes sure management likes you and be the kind of person others enjoy working with and hanging around. Brag a little. Ensure that your boss knows about any improvements you’ve implemented, challenges you’ve overcome, and projects and goals you’ve completely successfully. Be careful not to give the impression that you lack initiative and are simply coasting along until retirement, which can make you vulnerable during a layoff. 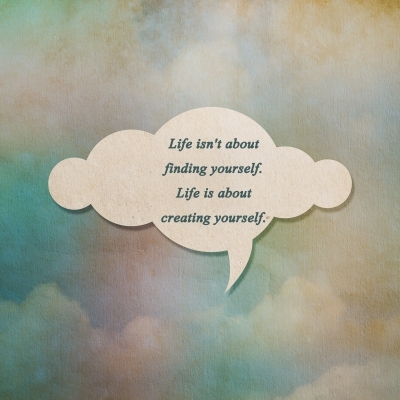 Make a point of continuously updating your skills and expanding your knowledge. Read journals, take courses, attend conferences, or attain additional certifications in your field. Finally, while it’s important for everyone to have emergency savings, if you’re 50 or older, it’s even more critical to have a strong financial safety net. Have enough savings on hand to ride out a potentially lengthy period of unemployment. This entry was posted in Baby Boomer, Retirement on January 30, 2019 by juliegorges. Baby Boomers: Should You Move Your Retirement Funds Out of the Stock Market? When the stock market has an alarming drop, does it make you baby boomers wonder if you should stay invested in the stock market? If so, the short answer is that it depends on your age. The good news: Younger baby boomers don’t have reason to worry about the correction, says Kyle Woodley, senior investing editor at Kiplinger.com. Remember, the 2008 stock market crash had a recovery time of six years. Keep in mind, because the market has soared the last eight years, you may need to rebalance your retirement portfolio to ensure your investments are aligned with your risk tolerance. Otherwise, you could lose a lot more money if the market crashes. What if you’re older and plan to retire in the next five years – or perhaps you’re already retired and drawing from your retirement funds? Experts generally agree that you shouldn’t invest anything you’ll need within the next five years. That way you’ll avoid pulling out all of your money during a market downturn which historically has always come back up again. This entry was posted in Baby Boomer, Retirement on February 7, 2018 by juliegorges. We both turn 56 this month, an age where boomers typically start dreaming about where they’d like to retire. Interestingly, we both reside in places known to be pretty popular for retirees. My friend is currently retired and active in her volunteer work and she likes living in Asheville. However, she is considering whether that’s the spot she wants to settle in for good. Me – I’m from the Palm Springs, California area, which has long been one of the most famous retirement communities. Snowbirds love this place with over 300 days of sunshine a year. Golfing, casinos, hiking, and cycling are popular activities. Places to shop and dine abound. In addition, a fairly strong economy and low unemployment rate make the Palm Springs area a popular destination for baby boomers and retirees. But do I want to retire here? Not especially. Some people love the heat, but I’m not a fan of the long, hot summers with temperatures that exceed 115 degrees. However, I have time to consider my options. Like many boomers, retirement is nowhere in sight for me at the time being. But of course, a girl can dream, right? That’s why I found Bankrate.com’s survey interesting. It used six criteria to determine which states are the best and worst for retirees that included cost of living, taxes, health care, weather, crime, and residents’ overall well-being. The results were surprising. Traditional retirement spots like Florida and California didn’t make the top 10 while other states, not usually considered as premier places to retire, like South Dakota and Wyoming, made the top five. So, exactly what are the ten best and worst places to retire according to the survey and why? Colorado came in at #3 as one of the best states to retire. Wyoming: Low taxes, a low cost of living, and a low crime rate puts this state in the top ten. The sheer beauty of this state is appealing with seven national parks, including the famous Yellowstone National Park, and plenty of expansive land to roam. In fact, Wyoming is the least populated state in the nation. Maybe that’s why this state scores so high in the well-being of its residents and is considered a “happy” place to retire. South Dakota: This state scores high for its low taxes, living costs, unemployment rates, and crime rates. South Dakota offers a rugged retirement destination to those looking for new adventures, affordable housing, and a sense of seclusion. Nonetheless, South Dakota scored low for the well-being of its residents. Perhaps that’s, in part, because of its typically brutal winters and hot summers. Colorado: What’s not to love? Gorgeous scenery with low taxes and living costs. 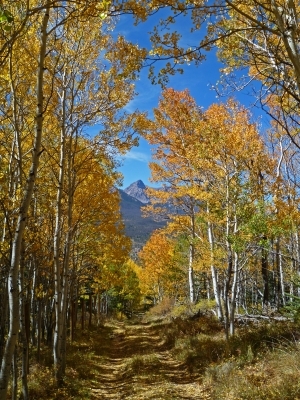 Compared to the two states above, Colorado has fairly mild weather with few rainy days that is conducive to lots of outdoor activities like hiking, cycling, and skiing. In fact, the latest U.S. News & World Report recently ranked Denver as the best place to live in the country. Colorado Springs ranked fifth. Utah: This state made the list with its pleasant weather and abundance of natural attractions and activities for outdoor lovers. Housing costs, however, are higher in Utah than the national average as is the state’s overall tax rate. 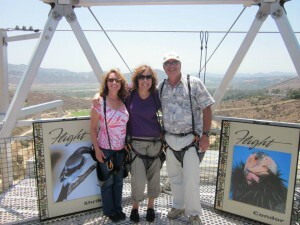 Utah has recently began attracting retirees, mostly in the St. George and Park City areas. Virginia: This state rated highest east of the Mississippi. A vibrant economy and plenty of historic destinations put it on Bankrate’s top five list. According to their study, Arlington is the best place to retire in the state and nearby Alexandria came in second. Idaho for its affordable housing, low crime rate, and many natural treasures, Iowa for its quality health care system and low crime rates, Arizona for its great weather and high scores in well-being, and Nebraska with its relatively low cost of living and low crime rates. It should be noted some of these states (South Dakota, Idaho, Arizona, and Utah) made the top 10 Kiplinger list which also included the states of Florida, Washington, South Carolina, Alabama, Tennessee, and Georgia on its top ten list of places to retire. 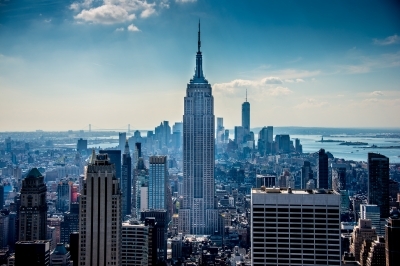 New York was the worst state to retire in, according to Bankrate.com. New York: Known for its high cost of living and high taxes, this state also had the lowest well-being scores in the nation, especially on feeling a sense of satisfaction with their lives and where they live, according to the Gallup-Healthways Well-Being Index. West Virginia: While the state offers a low cost of living, natural beauty, and lots of activities, for the 6th straight year, West Virginia received the worst scores in the country for personal well-being by the Gallup-Healthways Well-Being Index. In addition, the Agency for Healthcare Research and Quality gave West Virginia its 7th lowest rating in the country for its high rates of hospitalizations for conditions such as hypertension, asthma and diabetes, as well as potentially avoidable hospitalizations for acute conditions. Oregon: The state’s high cost of living and high taxes along with its stormy weather put this state as one of the worst places to retire according to Bankrate.com. However, it’s interesting to note that Portland, Oregon often tops lists of great places to retire with its beauty, ocean access, great food and wine, and lack of sales tax. Arkansas: Arkansas received below-average marks for crime, health care and overall well-being. Arkansas has the 9th highest violent crime rate in the nation and the 6th lowest score for health care quality. The state struggles with hospital admissions for hypertension and diabetes, among other issues. Arkansas also received the 7th lowest happiness score in the nation among seniors, with especially low overall scores for physical and social health. Louisiana: Unfortunately, one of the major problems with Louisiana, which also made last year’s list, is crime. The state recorded the 5th highest violent crime rate in the country in 2015, according to the FBI, and had a murder rate double the national average in 2014. In addition, The Agency for Healthcare Research and Quality gave Louisiana the 2nd lowest score in the nation for health care quality. Hawaii made number six. A lovely place to live except for the high cost of living. Honolulu is the 2nd most expensive place to live, ranking 2nd to New York City, according to the Council for Community and Economic Research. Residents of Hawaii pay an individual income tax rate of 11% — the 2nd highest in the U.S. If you can afford it, however, this state ranks high for happiness and personal well-being. That state was followed by Oklahoma whose state’s health care system ranked as the worst in the country, according to the Agency for Healthcare Research and Quality. Add a high crime rate and a low rating on the Gallup-Healthways Well-Being index. Alaska made the list for it’s a high cost of living, frigid temperatures in much of the state, and high crime rate. Connecticut ranked number nine due to its state’s income tax rate and property tax rate which are both 2nd highest in the country. Maryland rounded out the 10 worst states for retirement for its high cost of living and lofty tax rate which makes it hard for retirees living on a fixed income. Where to retire is a deeply personal decision and you may not agree with this list. There are many things to consider. For most people, retirement means less income, but more time to do what they enjoy. That means typically they are looking for a place with lower housing and living costs, good weather, opportunities for outdoor physical activities, cultural offerings, and volunteer work. Three in five Americans want to spend their golden years in another city or state, but the desire to move away from home fades with age. Women value a cheap cost of living more highly than men (59% vs. 43%). Four in 10 Americans say locales with access to mountains, rivers and other outdoor recreation would be most appealing, while 25% prefer living near a beach. True, true. But that doesn’t stop me from dreaming about retiring somewhere near an ocean with our sailboat docked in a marina. Or maybe some exotic land or a Caribbean island which are dancing around in my head. Why not? Like I said before, a girl can dream, right? And who knows where I’ll land? Only time will tell! Where would you love to retire? Please share your dreams in the comments below. This entry was posted in Baby Boomer, Retirement on November 3, 2016 by juliegorges. All of us baby boomers are familiar with the bleak studies about what we’ll face in retirement. Skimpy savings combined with a decline in health and the emotional changes that come with leaving the workforce could make for some pretty dismal golden years, experts predict. A recent study found out that retirees experience an immediate boost in happiness and health actually improves. And even better, some research suggests you don’t need a huge nest egg to be happy. 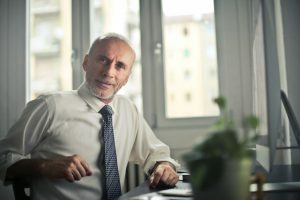 Using data from the University of Michigan Health and Retirement Study, researchers at George Mason University and Utah State University discovered retiring is associated with an immediate increase in happiness and the positive effects last for four years after their last day on the job. Retirees also experienced improved health. Health, however, took a bit longer to achieve – on average, four years. More good news! Love it! So, according to these studies if you want to feel better emotionally and physically, you may not want to keep delaying retirement. But what if you have limited savings? Chances are if you are an older boomer who has been retired for a few years, you’re feeling pretty good about your finances – even if you don’t have that million dollar-plus nest egg experts say you need. That’s what Ameriprise Financial discovered in a survey earlier this year. Turns out 76 percent of boomers with $100,000 in investable assets who retired in the last five years felt “in control” of that decision. Some 57 percent say they are very satisfied with their financial situation in retirement. “I was pleasantly surprised by how happy they are,” said Marcy Keckler, vice president of financial advice strategy at Ameriprise. “Happiness is a positive cash flow,” says Ken Moraif, founder and senior advisor of Dallas-based financial firm Money Matters. He argues that people with modest means who keep their expenses low can be happier than those who have more money coming in each month but spend it all. “You can have fancy cars and fancy houses, but you’re going to be miserable all the time,” he says of the latter group. Andrew Meadows, producer of the documentary, Broken Eggs, says he sees seniors getting creative with figuring out how to stay happy while also making ends meet after leaving their careers. I love these studies, but it’s important to remember that you shouldn’t expect retirement to magically improve your life. Taking steps now can help boost happiness and health when the time comes. Save as much as possible while you’re still working, make plans to stay active and engaged in a wide variety of activities, and take care of your health. If you do so, for many of you baby boomers, the golden years can be just that. Images courtesy of bplanet and photostock at FreeDigitalPhotos.net. This entry was posted in Happiness, Retirement on November 12, 2015 by juliegorges. After retiring, baby boomers are not content to sit in a rocking chair. We are changing the rules and redefining old age. Growing up during a time when everything seemed possible, perhaps it’s not surprising that we refuse to grow up and grow old, feeling a bit like Peter Pan. Retired boomers can be seen white water rafting, running marathons, zip lining, and traveling to exotic and adventurous places. And, perhaps surprisingly, many approaching retirement are starting our own businesses. Many boomers want to continue working – but on our own terms. A new Gallop study showed adults over the age of 50 are one of the fastest-growing groups of entrepreneurs in the U.S. In fact, boomers are twice as likely as millennials to say they plan to start a business in the next year. What’s surprising about this study is that the majority of boomers are working a full decade longer than their parents. So, why do boomers, who have already worked years and years for established businesses, want to start over and launch an “encore career” as an entrepreneur? When Gallup studied nearly 2,000 U.S. baby boomers, including entrepreneurs and non-entrepreneurs, they found that an overwhelming majority — 83% — say their main reason for launching a venture was a lifestyle choice or to increase their income. This poll suggests that we’re searching for independence and want to pursue our interests and passions before it’s too late. Money also plays a role. Many boomers haven’t saved enough for retirement and are looking for ways to make some extra money. Yet, it seems that our desires are outweighing practical choices when it comes to choosing a new business. Clearly, I’m in that category. I love working as a freelancer writer, but I’m not exactly getting rich. But still, I wouldn’t trade my freedom and happiness following my creative passions for a bigger paycheck. Therein lies the hitch. Although we’re experienced in our careers, we boomers still have the same challenges and face the same risks as younger entrepreneurs. 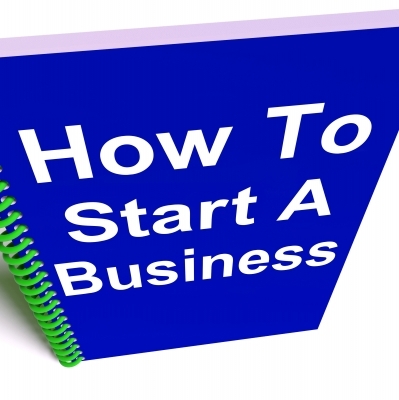 In addition, we’re looking to start businesses that will bring fulfillment and excitement to our lives which unfortunately doesn’t always equal income. Remember that running your own business is considerably different than working for a company. You will face uncertainty and failure, the study’s authors point out. Consider how hard you are willing to work, how you will acquire clients, how willing and adaptable you are to learning new skills, and how you will persuade others to buy your product or service. Understand your strengths and vulnerabilities before diving in. Connect with local resources and network, network, network. In most cities, the AARP and Small Business Administration offers information, services, and training to help older entrepreneurs grow their businesses. Also connect with other “encore” entrepreneurs’ professional networks. Form a support group to get you through the rough times. Take advantage of social media sites. Networking isn’t easy but it’s an essential key to success. Even though you may have a lot of work experience, entrepreneurs over the age of 50 will still benefit from working with a coach, mentor, or business adviser. 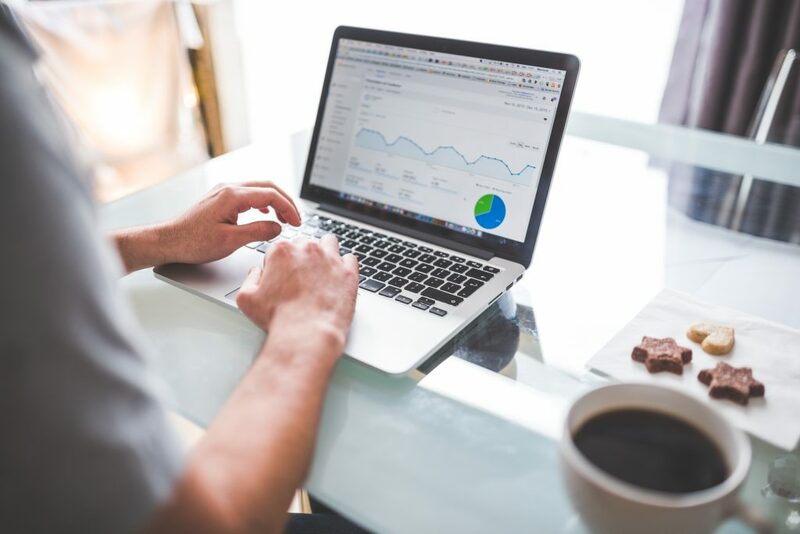 An established business owner can help you navigate through regulations and legal issues, develop marketing ideas, and learn how to promote your business in both traditional and new ways. 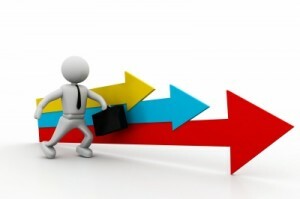 With all these challenges, will launching a new successful business make you happy? Quite possibly. Despite the hard work and dedication required to start and run a small business, 94 percent of U.S. entrepreneurs are happy being small business owners, according to a new survey by the online small business community, Manta. Now, that’s good news for you boomers with an entrepreneurial spirit! This entry was posted in Baby Boomer, Career, Following Your Passion, Retirement on February 5, 2015 by juliegorges. At age 54, retirement is not yet in sight for me. In fact, without pensions, my husband and I will likely work until we are 70. Am I depressed? No. If you’re in the same situation as us, check out my articles: Why Boomers Can Be Positive About Working Longer and Finding Contentment in Your Career. However, I realize that some of you may be fortunate enough to retire in your 50s or 60s. And since this blog is targeted at baby boomers, which includes those born between 1946 and 1964, the oldest of this generation are now approaching 70 years old. Interestingly, according to a recent study based on data from the MetLife Mature Market Institute, more than half of the 1946 boomers are not working until they drop as predicted, but are now fully retired. 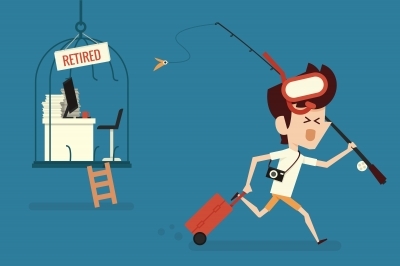 Although 21 percent of this group remain employed full-time and 14 percent are working part-time, most of those plan to retire fully by age 71. So if you are retired or approaching retirement, what are the keys to happiness during this stage of life? Along with a positive attitude, studies show that the older generation’s willingness to embrace their spirituality side contributes to their happiness. In fact, people who attend religious services regularly frequently live longer than those who do not; thanks, in large part, to faith, hope, and a sense of meaning and purpose in life. In addition, the social support that comes from being part of a community with shared values and beliefs can also contribute to happiness. 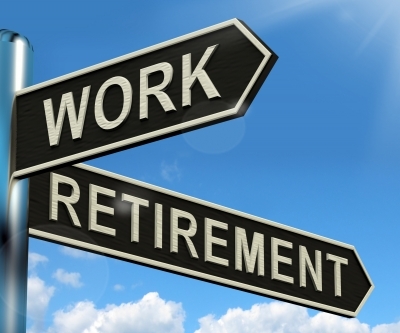 Retirement is no longer a word used to signal the end of a productive working life. Now many see retirement as a transitional point for the beginning of a new phase in life. Challenge yourself through meaningful volunteer work, starting a new business, learning new skills, or trying new activities. 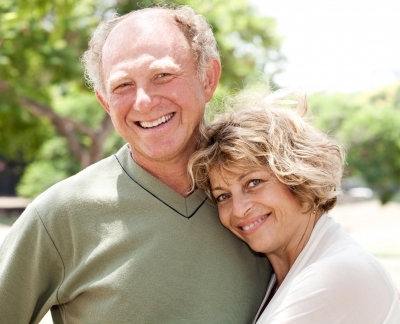 No surprise, studies show that good health is an essential component of a happy retirement. The fact is that people who suffer from chronic, severe illnesses tend to be less happy. The good news is you’ll have more time to focus on your health. Use some of your extra time to plan and prepare healthy meals, exercise, and stay mentally active. Nearly 20 percent of retirees say they are experiencing lower levels of overall well-being than they were before they retired. Although insufficient funds can contribute to depression, isolation can also be a factor. Married people tend to be happier during all stages of adulthood and retirement is not any different. However, retirement and being together 24-7 can put stress on your relationship, so you may want to plan for some time for individual activities. Interestingly, a recent Pew study showed that having been a good parent plays a large part in being happy during retirement. You’ll also find that children, grandchildren and great-grandchildren can be sources of much happiness when you’re retired. Find ways to let them know they’re an important part of your life. And of course, now that you have more time, nurture your friendships as well. So if you’re already retired, try some of these tips. If you are still working, start planning now for your retirement and you’ll be happier. For those of you with experience with happiness during retirement, please share your secret to success in the comments below! This entry was posted in Baby Boomer, Happiness, Retirement on November 6, 2014 by juliegorges.